With over 30 years in the business Ski Tak Hut boot fitters have developed a systematic boot fitting technique to help you get the ultimate boot fit. We carry an extensive selection of models from Salomon, Rossignol, Tecnica, Dalbello, and Head. Need your old boots worked on? No problem, just bring them in and we can assess the problems and offer solutions. For Snowboard boots we can also do custom fitting that can dramatically improve performance and comfort. If you need new boots choose models from Thirty Two, Burton, Salomon, Flow, Vans, and Ride. If you need your old boots fitted, please bring in your board, boots, and bindings as these can be part of the boot fit problem. If you require repairs or parts we can help here to. Give our snowboard fitters a call! Yes, XC boots can often be modified to give you more toe room or width and we can adjust the overall fit with shims, supportive insoles, and custom molded foot beds. 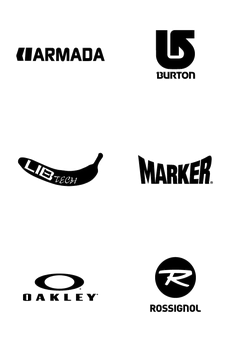 If you are looking at new then choose from Salomon, Rossignol, Fischer, or Madshus. If your existing boots are still in good shape, but don’t fit well, then simply bring them for a fit assessment. Want to know how to get the ultimate boot fit? Ski boots are really the most important part of your gear. We find that many skiers have boots that are too big, or they only fit one part of the foot. Your feet,ankles,heels and legs are all part of the fit. The angle of the cuff and the forward lean angles can also make your day more of less comfortable. If you are always adjusting buckles on the hill then your boots are likely too big. Of course how tight you like your boots is a factor to. For example, beginners may not want their boots as tight as a ski racer. Working along with you, our boot fitters will help you determine what type of fit you should have. There really is no absolute formula for fitting since everyone’s feet are different.Add the fact that each skier has different skills, fitness levels and performance requirements and you can see why many people have the wrong fit. So how do you get the ultimate fit? The first step is to come in and see one of our bootfitters and be prepared to try some boots on. Please bring your old boots with you. We find this is helpful to see what fit you are used to. After some discussion about your skiing background and some foot measurements we can begin the fit process.We recommend a minimum of one hour to go through an initial fitting. Spending a little time fitting in the shop allows you to become more familiar with how different boots feel and will help you find the fit best suited to your skiing skill and style. Once we determine what models are best suited, then we can begin more custom work. This might include shell modification, foot beds or shims to tweak the fit. Once you are out on the hill you may experience some numbness,cramping and pressure points. Don’t worry as this is quite common while the new boot is breaking in, but if it continues after a few days of skiing you will need more modifications. After a couple of adjustments you should be able to get out and ski without having your boots ruin your day! 1. Socks – proper socks make a huge difference in warmth, dryness and comfort. They should be the right thickness, size and height. We recommend merino wool, or blended synthetics that are made for skiing. Get rid of the cotton, they are cold, wet and lumpy! Smart wool is our best seller. 2. Try on some boots and compare fits at Ski Tak Hut. 3. Keep an open mind about brands and models. Fit should trump color, brand and style. 4. Foot beds – either custom molded, or pre-molded foot beds will support the foot and provide better circulation and, warmth and increases performance better than the stock insole. Most ski boot companies don’t put any support in their insoles. Spending a few more dollars here to complete the fit makes a big difference for most skiers. 5. Friend’s advice – Just because a friend really likes his/her boots does not mean they will work for you. Unless, of course, you are identical twins. 6. Brands – Even with brand name boots some of the models offered are lower quality and will not fit or perform well. Lower quality boots also have soft shells and don’t last as long a better boots. Bottom line is fit, you should compare two or three brands and make sure to match the model with your foot size and shape. 7. Don’t get hung up on the size and the flex ratings of ski boots. These numbers are only guides. For example a size 27.5 in a Salomon will not be the same size as from Tecnica. The same holds true for flex ratings; a flex of 90 from one brand is not the same as another. A good boot tech can help guide you through this confusing part of boot fitting. 8. Cold feet? If you have issues with cold feet make sure it is not your boot fit. Step one is to get a custom foot bed and then your boot tech will, if needed, make shell and/or liner modifications. This can help improve circulation. Also important to wear the right kind of socks (see number 1 above). If your feet are still cold consider boot heaters. Still cold... time to seek some medical advice! 9. Be realistic – We see some skiers who have some unrealistic boot fit expectations. Skiing is a sport. Skiers should be fit and ready to take on a day of skiing. A fitness program that includes general conditioning, strength and stretching is good. Your legs and feet have to be ready for the ski season. It is not reasonable to step into your boots after a summer at the beach and ski all day and expect not to have some discomfort! 10. Boots and feet change with time- Many factors can change the way your boots feel over time. The most common factors that can change your feet are age, growth, pregnancy and weight. The boots themselves will pack out over time as the liner compresses. Normal life expectancy of a liner varies quite a bit. If you are not sure about your boot liner or shell condition bring them in and we can discuss this with you. We invite you to come on in and work with our boot fitters. You will find us knowledgeable, friendly, and willing to provide proper advice about your fitting needs! NOTES: BOOT STRETCHES ARE GUARANTEED. IF YOU REQUIRE ADDITIONAL STRETCHES AFTER THE ORIGINAL, WE WILL DO A SECOND STRETCH IN THE SAME PLACE FOR NO CHARGE.